Loved the labels! 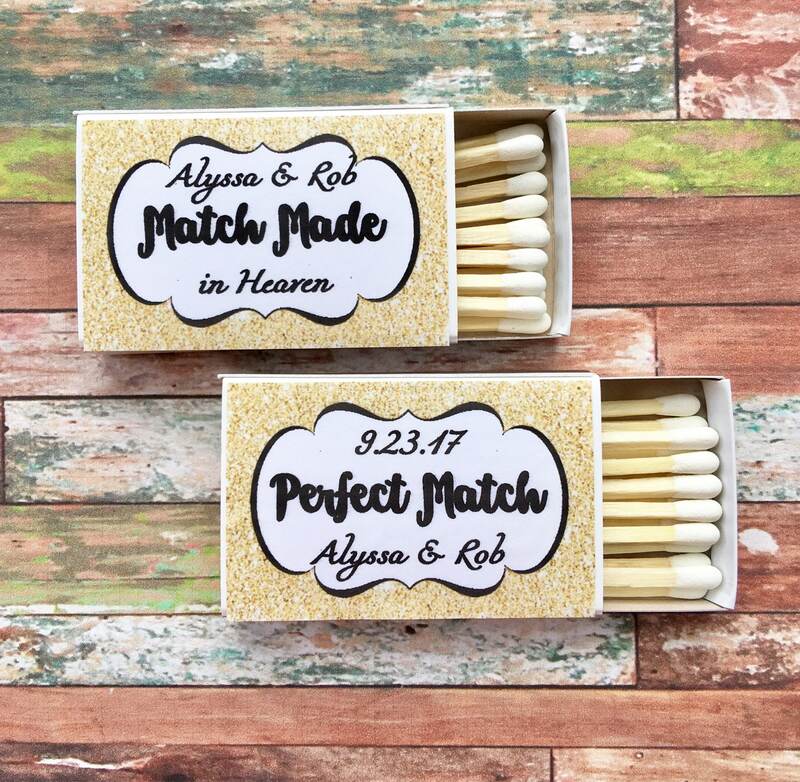 And I appreciated the suggestion on where to purchase the blank match boxes. 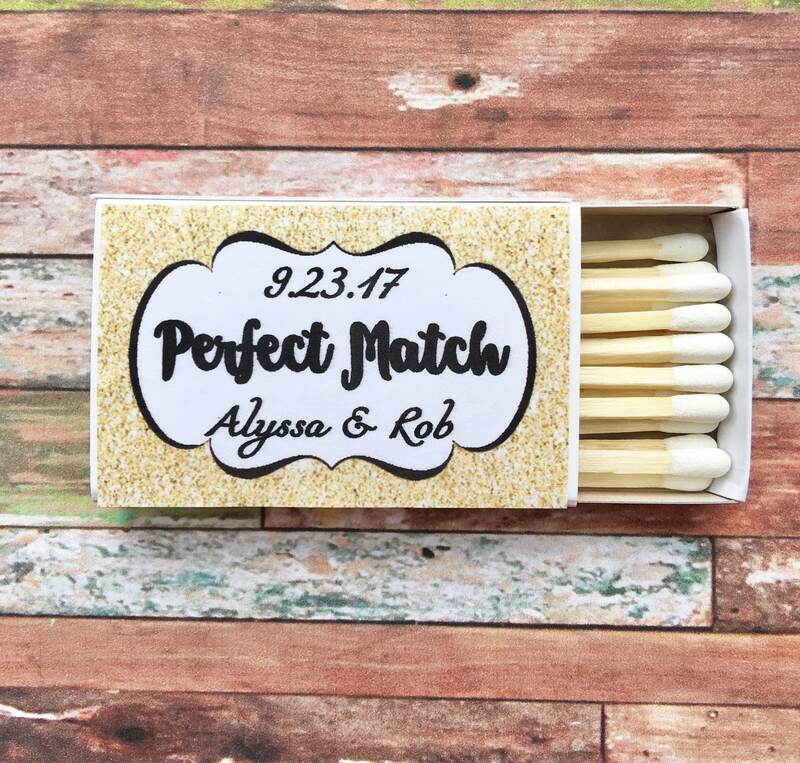 For a bride on a budget this helped. 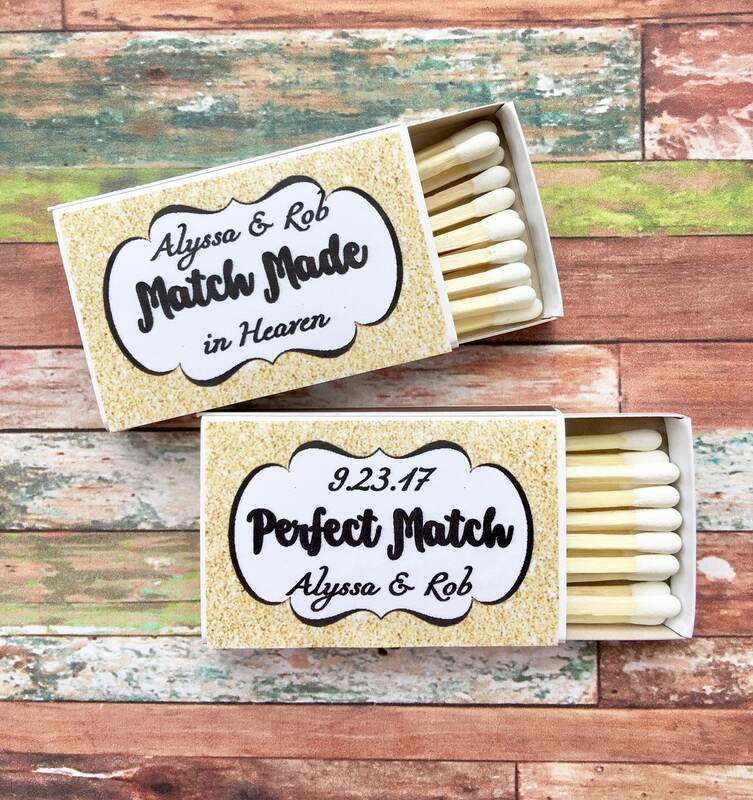 The match boxes will be in a cute glass jar that will be placed next to our sparkler send off display. Thank you! 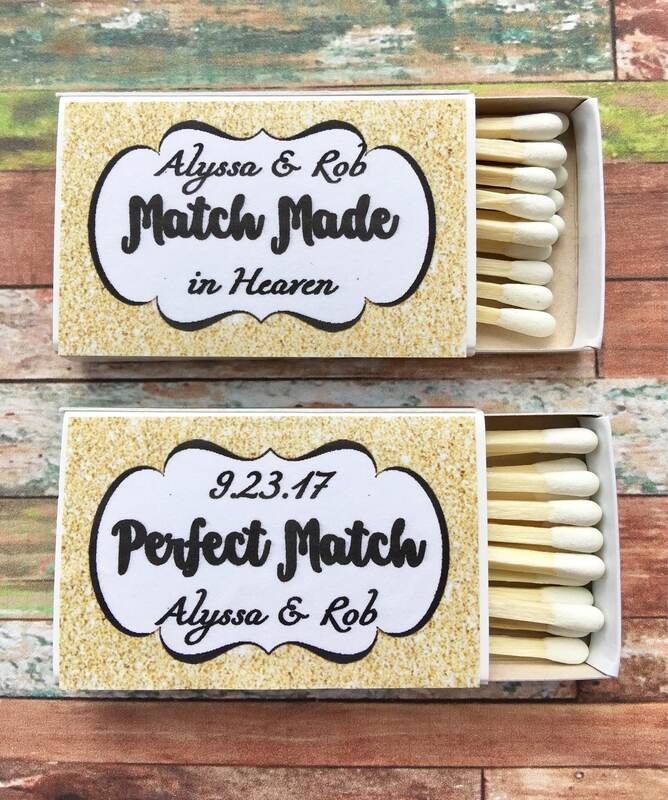 Great shipping and great labels! 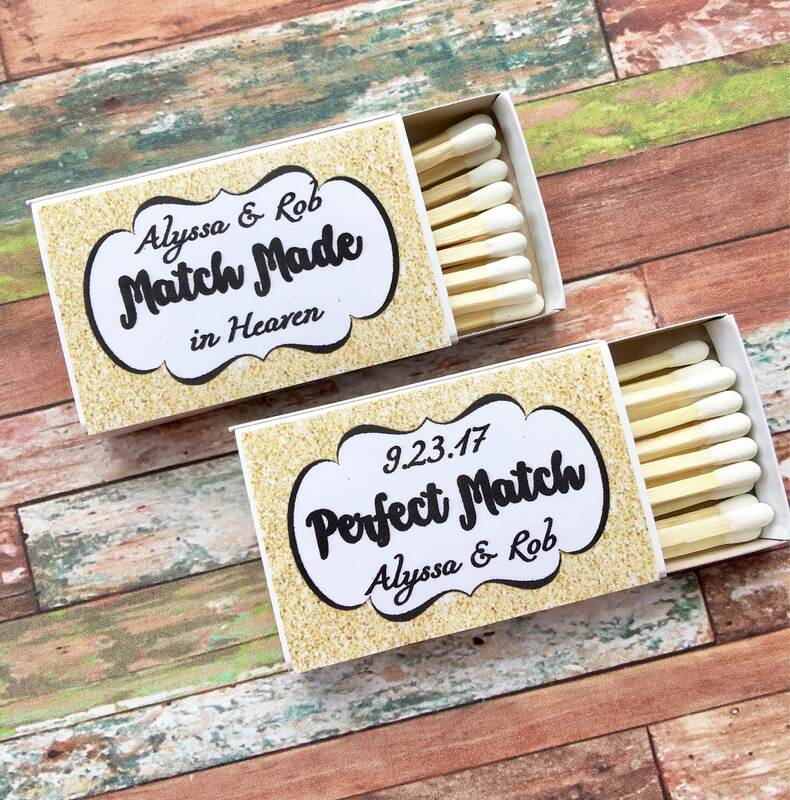 These matchbox labels are awesome! I was able to view the proof before they were printed, and the company happily made the changes I wanted and even suggested which font style would work best.